This week, U.S. Sen. Marco Rubio, R-Fla., announced that one of the newest ships in the U.S. Navy will be headed to the First Coast. Rubio said on Monday that the USS Minneapolis-Saint Paul, a Freedom-class littoral combat ship, will be homeported at Mayport in Jacksonville. Currently, the Minneapolis-Saint Paul is being built in Marinette, Wisconsin by Marinette Marine which was awarded the contract at the end of 2010. The Navy estimates that the Minneapolis-Saint Paul will be on the First Coast by the end of July 2019. Increasingly Freedom-class littoral combat ships are playing a more prominent role at Mayport. Back in 2014, the Navy announced two of them–the USS Sioux City and the USS Wichita–would be based on the First Coat. These surface vehicles are mostly used for operations near shore. They have core crews of around 50 personnel but can have up to 98 personnel in support. 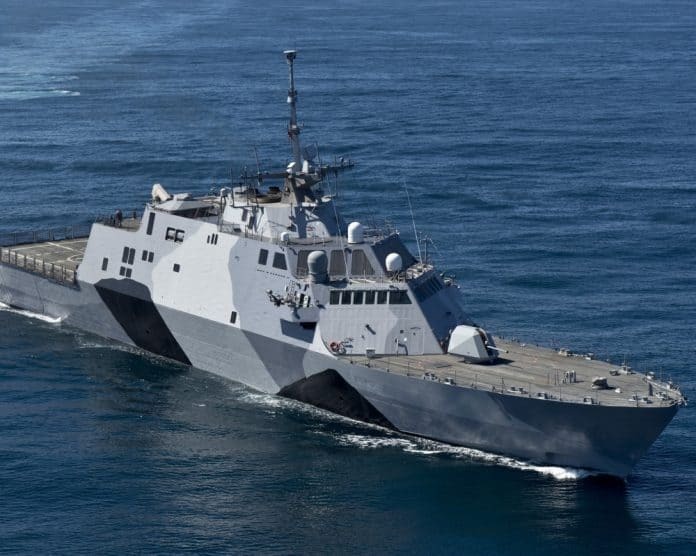 Currently, there are six Freedom-class littoral combat ships that have been commissioned and eight of them, including the Minneapolis-Saint Paul, under construction. Naval Station Mayport is the core of Jacksonville’s naval community. Created during World War Two, at the end of 1942, Mayport was shut down, became a Coast Guard post and then relaunched as a naval base in 1948.